A scanning tool for Moodle LMS. Allows administrators to determine exactly what is visible externally in their Moodle installation. 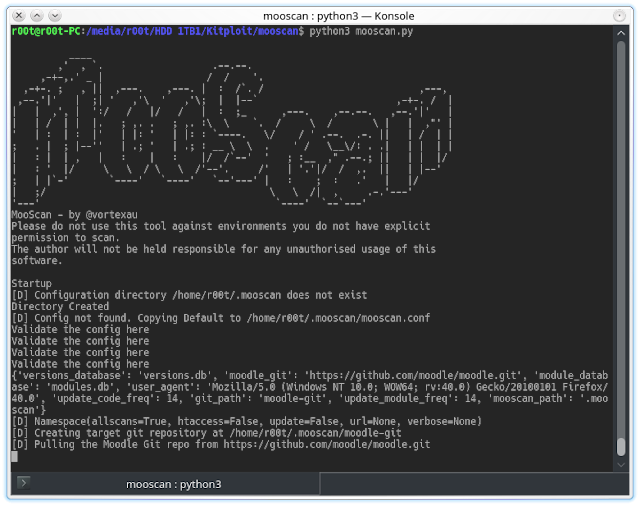 A tool for penetration testers to find potential vulnerabilities in a Moodle installation by enumerating installed plugins, themes and libraries. To be defined once the basic (MVP!) tool is released, functional and reliable.